HIMSS has named Mark Heaney, Chief Strategist & Founding Partner, Get Real Health and Adrian Byrne, CIO, University Southampton NHS Foundation Trust as speakers for the 2019 HIMSS Global Conference & Exhibition, held February 11-15, 2019 in Orlando, Florida at the Orange County Convention Center. HIMSS19 brings together 45,000+ health information and technology professionals, clinicians, executives and vendors from around the world. Exceptional education, excellent speakers, cutting-edge health information and technology products and powerful networking are hallmarks of this industry-leading conference. This session, Accelerating Transformation Through Policy and Technology, will explore the ways in which both policy and technology advances are enabling Get Real Health’s client, the University Hospital Southampton NHS Foundation Trust (UHS), to share its award-winning innovations with other UK National Health Service Trusts. Global Digital Exemplar, UHS, will blueprint their journey, best practices and lessons learned in their quest to deliver digital capabilities more quickly and cost-effectively to others. This session will detail how a successful interoperable PHR, powered by Get Real Health technology, was implemented to eliminate data silos, and facilitate a free- flow of information between organizations and care teams. This information gateway led to a reduction in unnecessary appointments for patients, improved communications and increased patient engagement overall. All HIMSS attendees are encouraged to join, with a target audience of CIOs, CTOs, Government or Public Policy and Population Health Management Professionals. The HIMSS Annual Conference Education Committee (ACEC) selected over 300 educational sessions on the conference program. Proposals under review by the ACEC have gone through a peer-review selection process for enhanced efficiency and quality in selection of the educational offerings at the conference. This committee, comprised of HIMSS volunteers, reviews and selects all presentations with those representing an organization or non-commercial interest given preference, a guideline followed to achieve continuing medical education or CME requirements. 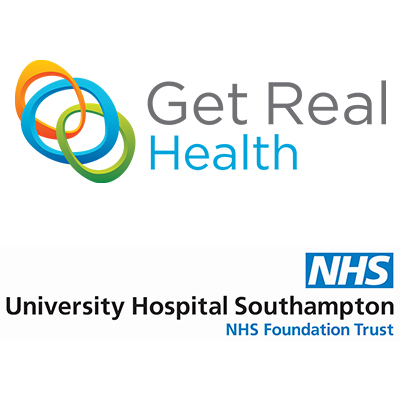 Get Real Health combines a world of new information from patients, devices and apps with existing clinical data to help individuals and healthcare professionals engage and empower each other. By giving providers and patients the information and tools they need to work together, we help our customers meet their ever-changing patient engagement needs. We help them deliver value-based care, improve outcomes, activate patients, increase patient loyalty and satisfaction, all while meeting regulatory requirements. Visit: http://www.getrealhealth.com. University Hospital Southampton NHS Foundation Trust provides services to some 1.9 million people living in Southampton and south Hampshire, plus specialist services such as neurosciences, cardiac services and children’s intensive care to more than 3.7 million people in central southern England and the Channel Islands.